Emotron VSU is general purpose drive for variable and constant torque application. With its V/f and sensorless vector control mode Emotron VSS is suitable for variety of applications like Elevators, fan, pump, compressor, conveyor, crane, mixer and other similar machineries. With its detachable keypad and parameter copy function, in very little time multiple similar units can be programmed by OEMs. The built-in PID controller in this drive ensure smooth control of process parameters and superior control. 16 pre-set speeds, 4 acceleration and deceleration ramps and variety of ramp curves can help user create complicated speed patterns ensuring finest process control. For quick setup specific to certain applications, VSU is having application macros like wobbulation control, brake control, length count and multi-step speed control. Modbus 485 communication allows the system to be monitored and controlled by plant control system. As standard Emotron VSU is having coated board and has been designed to withstand 50?? ?C ambient temperature making it suitable for withstand harsh industrial environments. Emotron VSU ensures safe and cost efficient operation of your demanding process applications. Konica is in the Industrial Automation field since more than 2 decades. It has been established in the year 1992. We are based in Mumbai, India one of the most developed Industrial region. In the same field, we are one of the leading companies which are involved in distribution, commissioning and export of a technically advanced range of Industrial Automation Products. 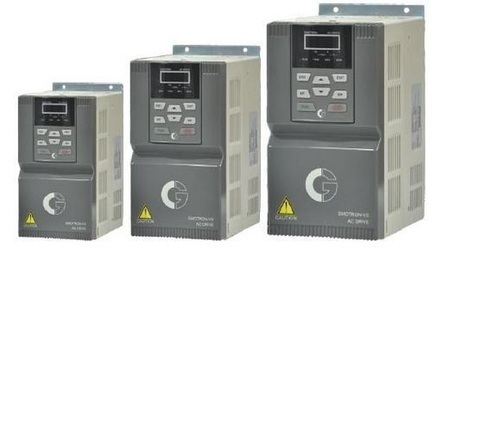 We have world class technically competent products like Programmable Logic Controller(PLC), Human Machine Interface (HMI), Variable Frequency Drive (VFD), Servo Motors and Controllers (Amplifier), PC based SCADA systems. Also, we provide a solution for Panel manufacturing, installation, field instrumentation and wiring, material supply and commissioning etc. Konica has very wide experience in the field of Factory and Process Automation covering every aspect as Control System Designing; System Component Selection, Supply and Implementation. From Konica, we have executed many diversified products based on our vast experience over 2000 clients in a duration of 15 years rather than OEM & EU. We have a team of technically qualified persons who have vast industry expertise to manage the entire system. Also, it is well updated with latest changes via regular training programs which can be a valuable addition to design and develop customized solutions. We have well-established branch offices and dealer/distributor network all over India. It is beneficial to provide better and immediate service support throughout. Also, we are having our own hardware repairing and service team at our HO which can be add-on facility to valuable clients.